Société Veuve Lyon-Alemand & fils was created in 1834 on the basis of a precious metals refining outlet operated by Mr. Lyon and Miss Alemand since 1800. 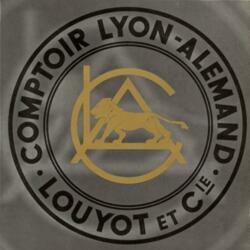 It became Comptoir Lyon-Alemand (CLA) in 1871. In 1957, CLA merged with Louyot to become Comptoir Lyon-Alemand, Louyot et Cie (CLAL). In 2000, CLAL joined the Cookson Group, a world leader in precious metals transformation. CLAL then became Cookson-CLAL. In June of 2013, Cookson-CLAL joined the Heimerle+Meule Group, founded in 1845 and based in Pforzheim. It is the oldest precious metals smelter and refiner in Germany. Cookson-CLAL provides services for professionals and individuals wishing to recycle or transform their precious metals to coins or investment bars. With 200 years of experience, its processes are well-oiled and the quality of its refined products is exceptional. Cookson-CLAL has a very large production capacity, allowing it to realize the full cycle in precious metals, from making product to upgrading byproducts in all forms. This refinery offers only four sizes of gold bars (5g, 10g, 20g and 50g) and two sizes in silver (1kg and 1,000oz). However, large amounts of gold and silver coins from around the world are available. Their products are recognized on international markets and their weight and purity are guaranteed. Gold and silver bars are struck with the letter C in a hexagon. The phrase “Cookson-CLAL Métaux Précieux” is also struck on the edges of the hexagon. Besides gold and silver investment products, Cookson-CLAL is a reference in the refining and recuperation of precious metals (gold, silver, platinum, palladium), in very high-quality finished metals for jewelry (semi-finished products, adornments, wedding rings), electric and electronic components, chemistry and electro-plating, as well as dental alloys. CLAL is accredited by the London Bullion Market Association and its products are Good Delivery certified, which guarantees they meet all standards pertaining to fineness and weight. The company regularly obtains accreditations such as the ISO 11426 and ISO 11427 Technical Baseline for its gold analysis methods. Cookson-CLAL also has three major certifications attesting to the quality of its business operations: ISO 9001, ISO 14001, and OHSAS 18001.